With the yes vote, the commission has given developer Bob Sonnenblick the go-ahead to begin feasibility studies that examine what types of businesses the marina would best support, including types of hotels and marina activity. 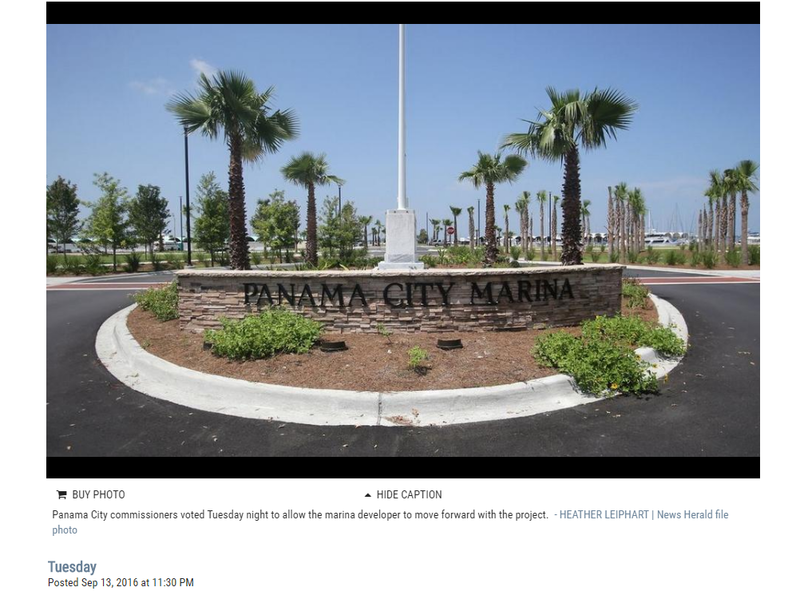 PANAMA CITY — In a 4-1 decision, the Panama City Commission voted Tuesday night to continue to work with Sonnenblick Development on the marina redevelopment, moving the project into a phase that opens the door to more public comment and starts feasibility studies. “All this is is the next step forward,” Mayor Greg Brudnicki said. With the yes vote, the commission has given developer Bob Sonnenblick the go-ahead to begin feasibility studies that examine what types of businesses the marina would best support, including types of hotels and marina activity. Sonnenblick previously has said he is planning to spend “several hundred thousand dollars” on studies. He is expected to formally report back on his findings Dec. 15, as the commission voted to give him a one-month extension. The sole no vote was from Commissioner John Kady, who made it clear he supports Sonnenblick and thinks he is “the guy” but voted no due to several concerns. He said his primary concern is that starting the feasibility study would be misguided until the commission gives unified input on the MarinaVillage proposal that Sonnenblick presented — with the help of Destin developer Peter Bos of Legendary Entity — during the commission’s August meeting. Kady felt that starting the studies without input was potentially a waste of money. “I don’t want to set him loose to start working until he knows the consensus of the commission,” Kady said. Other commissioners and two lawyers assured Kady that is not what was happening, pointing to Sonnenblick being given and incorporating feedback into the design. For example, a proposed dry boat storage facility already has been scratched and more public space has been added. Over Labor Day weekend, all of the commissioners provided Sonnenblick with feedback behind the scenes about what they liked and disliked about the plans. Moving forward, Brudnicki said the commission will continue to provide feedback in real time, and Commissioner Billy Rader agreed with Kady’s request for more public meetings to discuss. But as Commissioner Mike Nichols repeatedly has pointed out, nothing about the current plan is final. “It’s pretty pictures. It’s not necessarily what you are going to do,” he said. Kady also expressed concerns about Sonnenblick’s choice of Bos as a business partner, as the agreement shows Bos’ company, which has a complicated legal and financial history, as having a 20 percent stake in a new limited liability company that will be formed to work on the project. City Attorney Nevin Zimmerman also worked to answer those questions. While the legalese is complicated, essentially in the agreement Sonnenblick has set up his company as the managing entity, meaning he will be making all of the decisions and Panama City is only contracted with him.